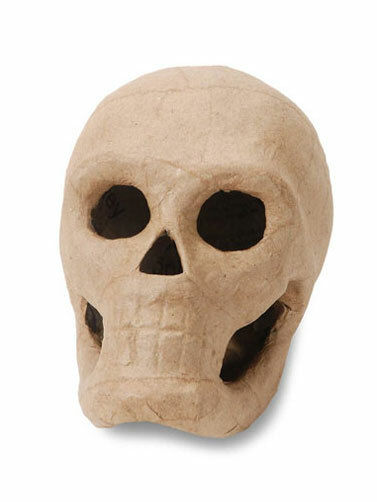 Paper Mache Skull will help you to create create one kind skull decorations for your Halloween display. 3D skull can be decorated on all sides. Suggested ideas for covering paper mache skulls are pen and ink, decoupage, paint and glitter. 100% natural, eco-friendly and biodegradable. Made from recycled materials. Paper Mache Skull measures 5.5"H x 4"W. 1 ea.